During a recent trip, I popped into H&M and was pretty impressed by their current in-store offering. As often happens with high-street brands, I've recently had some time apart from H&M (we just wanted different things), but with the new season around the corner, it seemed like the right time to give it another chance. As usual, I headed straight to the second floor of the Oxford Circus store (it always has the best selection) and was immediately struck by the high-calibre and sheer variety of styles on offer. From the dramatically printed midi skirt which came in a luxe weighty fabric, or the figure-flattering high-waisted trousers, there was simply so much to love. But five pieces in particular seriously stood out to me—all easy to wear, versatile and able to be worn now and adapted for the warmer months. Scroll down to see and shop the H&M new-in items that won my affections. 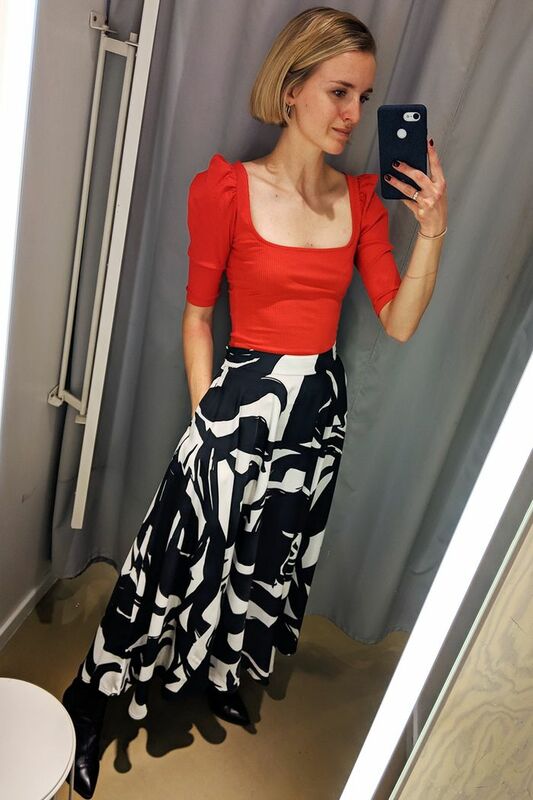 Style Notes: What struck me immediately was how expensive this skirt felt: The fabric was super weighty yet silky which helped it to hang perfectly. I decided to style it with a cute, colour-contrast square-neck top. Style Notes: Pale blue and brown is one of my fave colour pairings this season, and this outfit formula is an easy way to do it. The wide leg, high-waisted fit of the trousers is so flattering and looks great with a slim-fit, ribbed top. Style Notes: Burberry's iconic check is having a bit of a Renaissance as of late, and this slip dress has a definite '90s character. 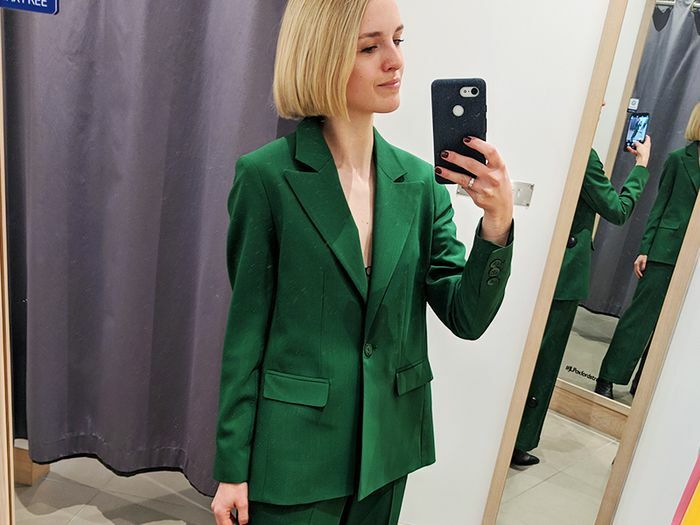 It would look just as good by itself (as shown here) as it would over a long-sleeved top and wide leg tailored trousers.